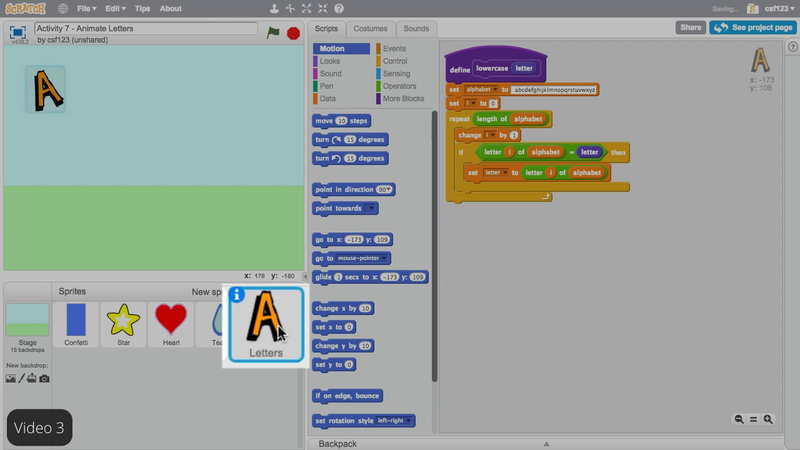 Program the letter sprite to start upright, then repeatedly dance, wiggle, or spin using a forever loop and blocks from the motion and looks menus. Create clones that appear in a row. Animate the clones using the "when I start as a clone" block. Hide the original sprite and show only the clones. Change the colors of the clones.